For the fort in Malta, see Fort Campbell (Malta). Fort Campbell Parachute Demonstration Team "Screaming Eagles"
In the spring of 1949, the 11th Airborne Division arrived at Campbell following occupation duty in Japan. The 11th was in residence there until early 1956. By April 1950, the post had evolved from a wartime training camp to a permanent installation and was renamed Fort Campbell. From 1950 to 1962 the post operated an Airborne Course which trained nearly 30,000 soldiers as paratroopers before its inactivation. On September 21, 1956, Secretary of the Army Wilber M. Brucker and the Army Chief of Staff, General Maxwell D. Taylor, presented the colors of the 101st Airborne Division to MG T.L. Sherbourne, the first commander of the new ROTAD airborne division. This was the official ceremony reactivating the famed "Screaming Eagles" of World War II. On May 2, 1966, Third Army General Order 161 directed the activation of a Basic Combat Training Center at Fort Campbell. On July 6, barely two months after its activation, Fort Campbell's Army Training Center received its first 220 newly inducted soldiers. Basic Combat Training began on schedule July 11 with a full complement of 1,100 trainees. The Training Center operated until April 15, 1972, when it was deactivated. The 1st Brigade was sent for duty in Vietnam in July 1965. Soon thereafter, upon the escalation of hostilities in Southeast Asia, the rest of the division arrived. Also in response to the military buildup, the 6th Infantry Division was reactivated at Fort Campbell on November 24, 1966, and inactivated July 25, 1968. In September 1971 the 173rd Airborne Brigade returned to Fort Campbell and conducted its official homecoming ceremonies, which were presided over by Secretary of Defense Melvin Laird. 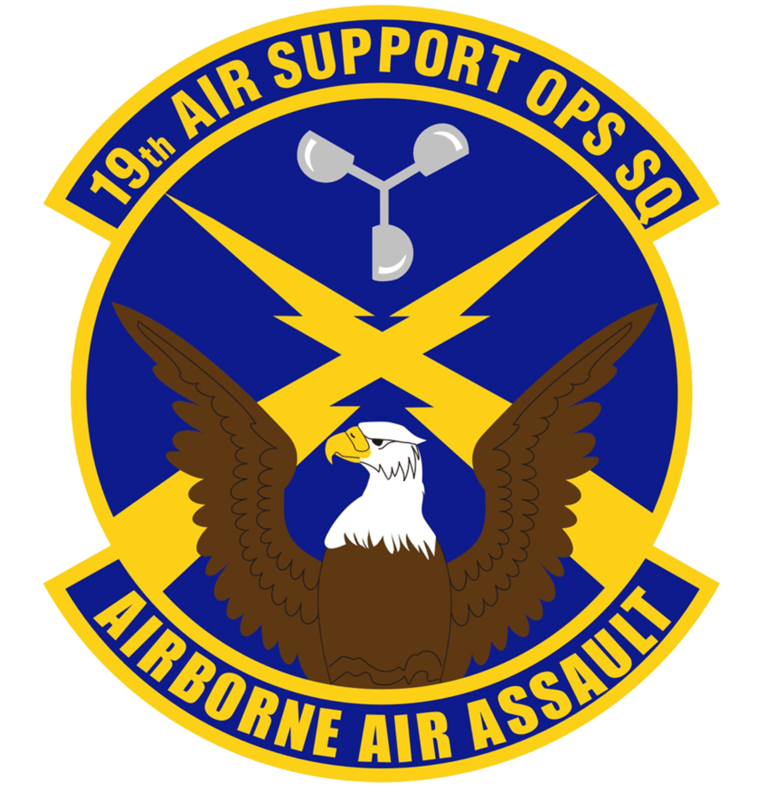 The 173rd was then inactivated on 14 January 1972 and its personnel and the equipment used to rebuild the 3rd Brigade, 101st Airborne Division (Airmobile). The 3rd Brigade remained on jump status until April 1974, when its jump status was terminated and the division became entirely airmobile. On April 6, 1972, the 101st Airborne Division (Airmobile) was officially welcomed back to its home station after the cessation of hostilities in Vietnam. The ceremonies were attended by Vice President Spiro T. Agnew and General William C. Westmoreland, Army Chief of Staff. On 12 December 1985, 246 servicemembers died with eight aircrew shortly after takeoff from Gander, Newfoundland, Canada, during a return from peacekeeping duties in Egypt. A memorial grove of trees and monument are near the post museum. On July 5, 1999, Private First Class Barry Winchell, 21, of 2nd Battalion, 502nd Infantry Regiment, was bludgeoned to death with a baseball bat in his barracks. The murder was committed by Private Calvin Glover, who was egged on by Specialist Justin Fisher. Apparently the motive was punishing Winchell for falling in love with Calpernia Addams, a transsexual showgirl. Winchell died at Vanderbilt University Medical Center in Nashville. Glover was later convicted for the murder, while Fisher was convicted of lesser crimes. Fisher was released to a halfway house in August 2006, and was later released from all custody. Glover received a life sentence and is eligible for parole after 15 years. On October 13, 2005, Fort Campbell made international headlines when Private Nicholas Mikel opened fire on a group of soldiers training at the base. Private Mikel was arrested soon thereafter and charged with attempted murder. In April 2006 he was convicted of attempted premeditated murder and sentenced to 25 years imprisonment. Early on April 26, 2011, a strong tornado struck the Campbell Army Airfield at Fort Campbell, destroying one building and causing heavy damage to several others, all of which were large and well-constructed. Large doors were blown in on these buildings as well. Several other smaller buildings received minor to major damage, and numerous heavy vehicles were damaged, with at least three being flipped over. Immediately north of the airfield, across farmland, several dozen trees were downed, two barns were heavily damaged, three power poles were blown down, and some shingles were blown off of a house. The tornado was rated as an EF3 on the Enhanced Fujita scale. 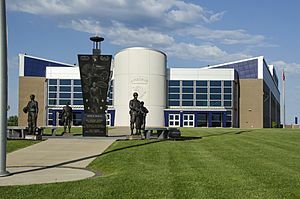 The Sabalauski Air Assault School, named after Command Sergeant Major Walter James Sabalauski is located on FT Campbell. Courses taught include Air Assault, Pathfinder, Pre-Ranger, Jumpmaster Refresher, and Rappel Master. FRIES/SPIES Master courses are also taught. The school is also home to the Division's Parachute Demonstration Team. Kentucky has limited rights to taxation: Individuals performing services on the Kentucky portion of Fort Campbell only pay taxes to the state where they are residents, refer to US Code Title 4, Chapter 4, §115. The Fort Campbell parachute demonstration team was established in 1958 during the infancy of precision freefall as the Army's first such team — pre-dating the Golden Knights, United States Army Parachute Team, by one year. Early team members were soldiers who volunteered their free time in order to perform quality parachute demonstrations. In 1984, the 101st command group opted to form a full-time parachute team, known as the "Screaming Eagles". The "Screaming Eagles" perform more than 60 parachute demonstrations each year in front of an average viewing audience of 5,000 spectators. The team has a diverse background of Army Military Occupational Specialties (MOS) and at this time has seven members. The team has one Light Wheeled Mechanic, two Combat Medics, three Infantrymen, and one Parachute Rigger most of whom have combat experience. Collectively, the 2009 team has more than 40 years of skydiving experience and more than 6,000 skydives. Other facilities include Blanchfield Army Community Hospital, Sabalauski Air Assault School and the SSG John W. Kreckel NCO Academy. Fort Campbell Facts for Kids. Kiddle Encyclopedia.